Jessica Farley is a Year 8 pupil at Oakwood Middle School in Frome, living with her mother Alison, brother Josh and sister Alexandra in Waterloo - a newly-built area of Frome which was once the site of a large brass-works. She is a bright girl who dreams of one day being a children's doctor and working in Africa. How far this dream is realistic is uncertain! Her main problem is her imagination, which is likely to fire off into a world of its own as soon as anything catches her interest. The result is she loses track of what she is supposed to be doing or where she is going! Somehow, though, she still manages to take in all she is being told. Teachers like Mrs Watson understand this and feel protective towards her; others, like Mr Todd, don't and accuse her of not paying attention in class. Jessica relies on Josh and her best-friends Abbi and Megan to keep watch over her and stop her getting lost. Fear that her imagination has taken over her mind makes her reluctant to believe she has really has been time-travelling or to tell anyone what happened. Even her best-friends aren't let in on the secret. Gradually, Jessica realises the Doors themselves are calling her to further travels and the wish she made in St John's Church may be the cause of her adventures. With this in mind, she determines not to listen to further calls. However, the Doors are not to be denied. Josh Farley is in Year 6 at Oakwood. From an early age he has been a kind of 'watch-dog' for his older sister. This has meant the two of them are very close - unusual in a brother and sister! He is the only one Jessica will trust with the secret of her first disappearance. It is he who insists they go on a second journey into the past - though it doesn't turn out exactly as he intended! Caught up in the challenges brought by the Doors, he is shocked when Jessica orders him not to go with him any more - an order he disobeys as he is fearful of what will happen to his sister without him. As it turns out, delay means she is beyond his help anyway. Alexandra Farley is in Year 4 at Hayesfield First School. She has her father's auburn hair and blue eyes - unlike the black hair and grey eyes of her siblings. Born a week after her father Alex was killed in a farm accident, she carries his memory for her mother and is treated as the 'baby' of the family (still calling Alison 'Mummy'). She grows increasingly jealous of the attention given to Jessica because of her sister's disappearances. She also feels shut out from the close relationship between Jessica and Josh. When it becomes clear they will never let her in one their secret she decides to turn spy and informant, leading finally to her own unintended involvement. Alison Farley courageously takes on the role of mother and father after husband Alex's death. She tries to be a good, modern mother - encouraging her children to be independent and think for themselves although, underneath, she treats Alexa as special and worries about Jessica's dreaminess. It is not surprising Alison doesn't know how to deal with the older siblings disappearances and secretiveness. In the end she feels she has 'lost' them and that their behaviour is a rejection of her motherhood. What other reason can there be? out of the workers. They built stone cottages and better workshops, which the weavers had to rent. Later, they built large woollen mills and introduced machines which could produce yarn and cloth much more quickly and cheaply, so putting the spinners and weavers out of work. Women and children were employed as 'machine-minders' as they were paid a lot less than men. When the machines were first introduced, workers rioted and tried to destroy the machines. In the end, though, they couldn't stop them. However, mills in Yorkshire were able to produce a greater variety of cloth more cheaply and the woollen industry in the West Country - including Frome - collapsed. Thousands were put out of work and many went overseas to set up new lives there. The story of the Farleys in 'The Doors of Time' reflects some of the hard life of the woollen workers. 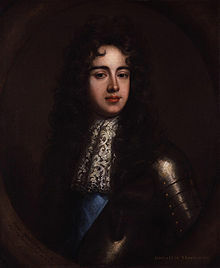 Monmouth The Duke of Monmouth lived from 1649 to 1685, and was the illegitimate son of King Charles II (one of many). It was generally accepted that only the son of the King and Queen could inherit the throne but Monmouth believed this didn't apply to him. His belief was based on three things: 1) His father showed him special favour and was ready to forgive earlier rebellions; 2) Enemies of Charles II and, especially, James II told him he should be King; 3) Parliament made regular attempts to stop any Roman Catholic becoming King and James was a Catholic; as a Protestant, James Monmouth seemed to have the best claim to the throne - and he was English. However, there were Protestant princes in Europe with better claims and James II's daughters Mary and Anne were also Protestants (they each became Queen in turn after James II was banished).